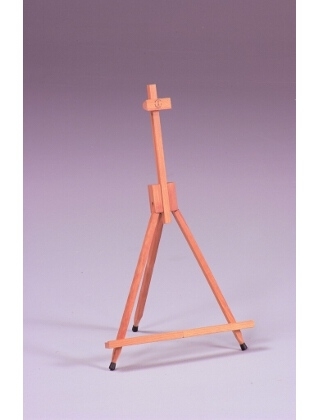 The Avanti Mini-Pro Easel is an excellent art/display easel. Constructed of natural hardwoods, the Avanti Mini-Pro features generous lower canvas support which is hinged in the center allowing quick folding for storage or transport. The rear spike leg adds stability and facilitates angle adjustments of up to 15 degrees . The telescoping center mast and adjustable upper canvas support accommodate canvases up to 24" in height.